(Location cited as NY 192 686). 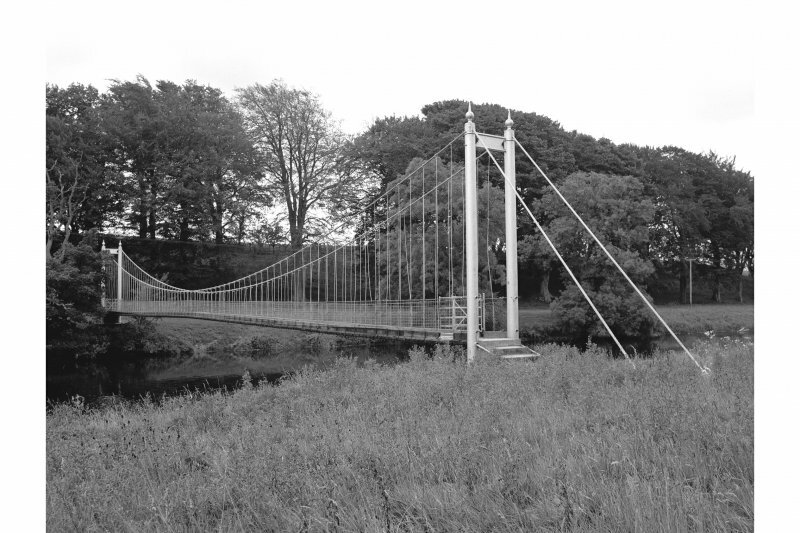 Suspension footbridge, Blacketlees, built 1897 by P & R Fleming, Glasgow. A small structure with steel tubular pylons, wire-rope suspension cables, steel-rod suspenders and a wooden deck. 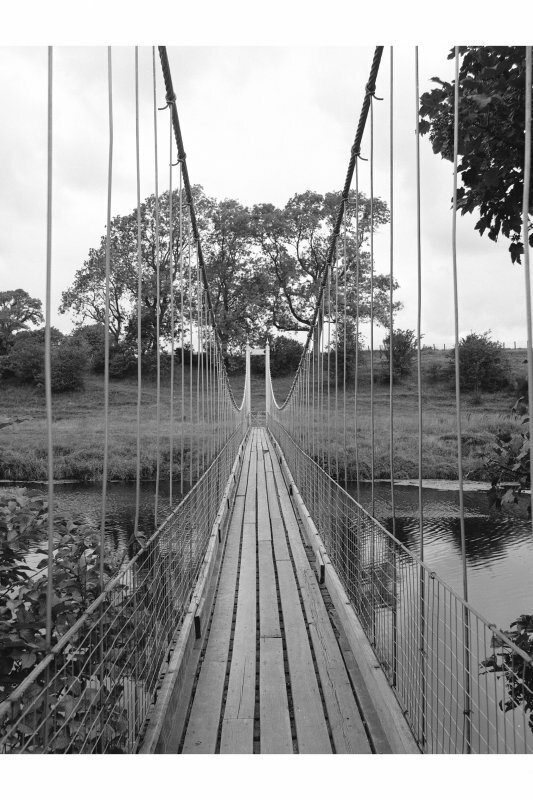 (Suspension bridge of wire rope and unstiffened deck type with iron or steel pylons: location cited as NY 192 686). Built 1897 by P and R Fleming, Glasgow, engineers. Steel tube pylons, wire-rope cables, rod suspenders, woven wire railings. Public footbridge. 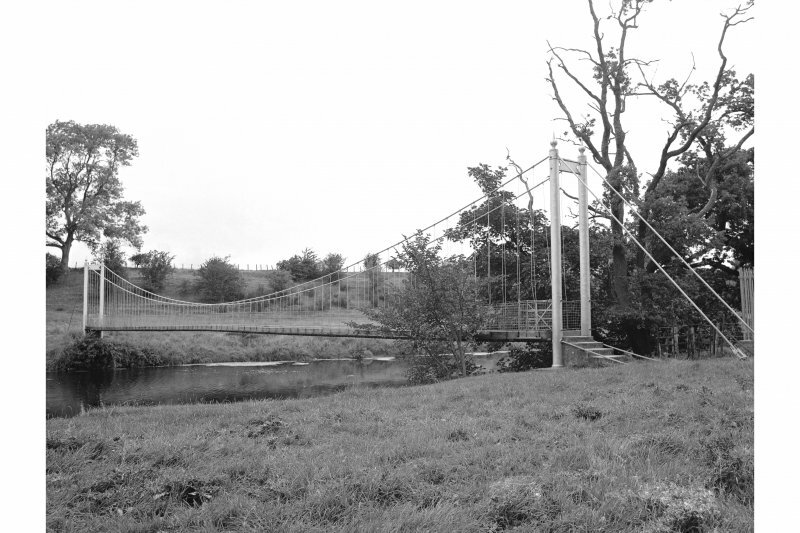 This bridge carries a footpath across the River Annan to the ESE of Blacketlees steading (NY16NE 100). Information from RCAHMS (RJCM), 20 October 1997.